The purpose of this experiment was to compare the effectiveness of alcohol-based and non-alcohol based hand sanitizers in killing bacteria. I became interested in this idea while walking around the Central Washington State Fair with my mother and saw Germ-X hand sanitizer dispensers outside the animal barns. The dispensers said that Germ-X's formula could kill 99.99% of the germs on your hands. I wondered if their statement was actually true, and if the active ingredient, 62% ethyl alcohol, was the best ingredient to use. The information gained from this experiment could affect companies that manufacture hand sanitizers. It would also help users of hand sanitizers including: parents, medical workers, food service employees, and those who rent outhouses. My first hypothesis was that the 62% ethyl alcohol based hand sanitizer would be more effective in killing bacteria than the non-alcohol based hand sanitizer. My second hypothesis was that the non-alcohol based hand sanitizer would kill more bacteria than water alone. My third hypothesis was that the 70% isopropyl alcohol would have more effectiveness in killing bacteria than the 62% ethyl alcohol based hand sanitizer. I based my first hypothesis on Dr. Sally Bloomfield’s statement, "Alcohol-based hand sanitizer provides an effective alternative in situations where soap and water are not available. Based on their safety and lack of antimicrobial resistance, alcohol-based hand sanitizers are appropriate for use in consumer settings." I based my third hypothesis on the logic that the isopropyl alcohol is 70% alcohol; where as the 62% ethyl alcohol based hand sanitizer has ingredients to soften the effect of dry skin, which I think will also soften the alcohol’s effect on killing bacteria. The manipulated variable was the type of cleanser. The responding variable was the number of colonies visible on blood agar plates after incubation. To measure the responding variable, I counted the bacterial colonies growing on the blood agar plates, using the naked eye in white light. The original purpose of this experiment was to compare the effectiveness of alcohol-based and non-alcohol based hand sanitizers in killing bacteria. The results of the experiment were that there was a large difference in the reduction of bacteria for the four cleansers. The 70% isopropyl alcohol had the most reduction, at 88% of the bacterial content killed. The 62% ethyl alcohol had the second most reduction, at 83%. The tap water had the second least reduction, at 27%. 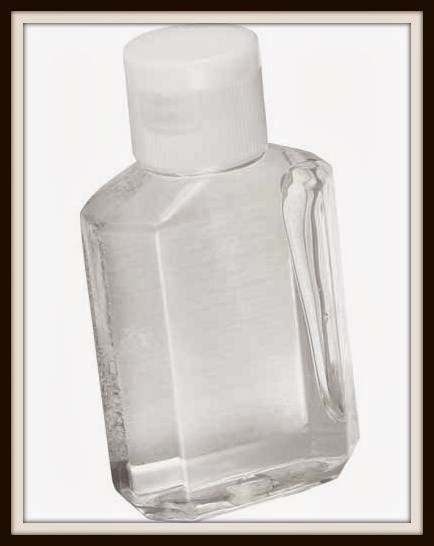 The non-alcohol based hand sanitizer had the least reduction, at 15%. My first original hypothesis was that the 62% ethyl alcohol based hand sanitizer would be more effective in killing bacteria than the non-alcohol based hand sanitizer. The results indicate that this hypothesis should be accepted, because the 62% ethyl alcohol based hand sanitizer reduced 83% of the bacterial content on the subjects’ hands, which is more than the 15% the non-alcohol based hand sanitizer did. My second original hypothesis was that the non-alcohol based hand sanitizer would kill more bacteria than water alone. The results indicate that this hypothesis should be rejected, because non-alcohol based hand sanitizer only reduced 15% of the colonies on the subjects’ hand, while the tap water reduced 27%. My third original hypothesis was that the 70% isopropyl alcohol would have more effectiveness in killing bacteria than the 62% ethyl alcohol based hand sanitizer. The results indicate that this hypothesis should be accepted, because the 70% isopropyl alcohol reduced 88% of the bacteria, and the 62% ethyl alcohol based hand sanitizer reduced 83% of the hand sanitizer. This difference is too close, so more research needs to be done. After thinking about the results of this experiment, I wonder if there would be any significant difference on the reduction of bacterial content between ethyl and isopropyl alcohol of the same percentage. If I were to conduct this project again, I would include dry rubbing as one of my control groups. The rubbing of the subjects’ hands could decrease bacterial content. I would also test more subjects to have more trials. Furthermore, I would have compared more cleansers.